On December 23rd, at the apex of the holiday shipping crunch, UPS tweeted that they “were experiencing heavy holiday volume“. This refrain would repeat every few hours, coupled with an apologetic statement saying that “the volume of air packages in our system exceeded the capacity of our network. … We apologize“. An unspecified percentage of packages did not make it to customer’s homes for Christmas. What followed was an onslaught from traditional and social media critiquing UPS operations and calling them to task, including a senator calling on UPS to refund customer expenses. Stories in every major outlet described the families left without their packages on time, while retailers like Amazon blamed UPS for delivery failures. But you likely already read about that. In this post, we’ll talk about what went right for UPS. The sheer scope of this operation is enormous. 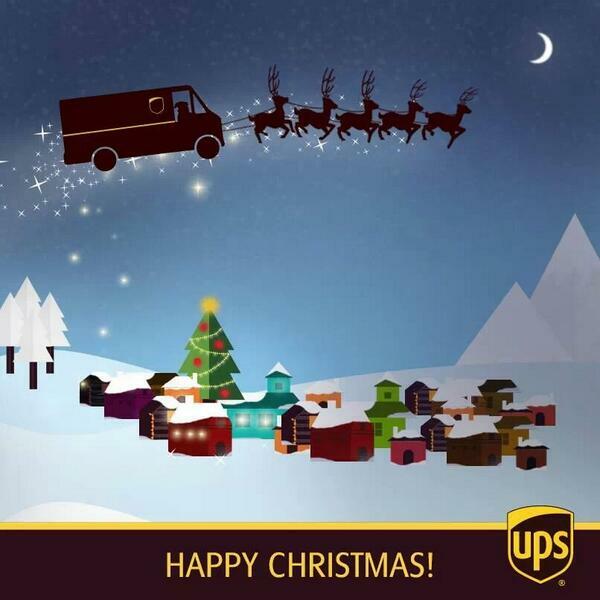 In 2005, UPS was delivering 230 packages every second during the peak holiday season. This year, that number shot up to 300 packages delivered every single second. The complicated peak season planning, led by Scott Abell, has been underway since last January. UPS’s fleet has over 230 airplanes and almost 300 daily charters but it supplemented these with another 23 chartered airplanes for the holiday season. All in all, UPS had almost 2,400 flight segments every day during peak week. And to get all hands on deck, UPS also hired 55,000 seasonal employees in the US alone. Supply Chain Horror: Where did things go wrong? Holiday shopping time is usually more drawn out but this year there were only 26 days between Thanksgiving and Christmas, meaning less time for shopping. Preparation. Beginning to prepare almost a year in advance, scaling up the workforce to deal with the crunch and bringing in extra planes is the hallmark of a company that works with analytic tools and experts in every field to unleash some of the most complicated logistic efforts the world has ever seen. As Sun Tzu said, “The line between disorder and order lies in logistics…” Read how UPS’s lead peak planer, Scott Abell, puts in his time preparing to rid the supply chain of disorder. Contingency Planning. As obvious from the results of this Christmas season, you can’t predict what happens. So you prepare for contingencies. UPS kept a team of meteorologists working 24/7 to make sure that when bad weather struck, Santa’s sled wouldn’t rock too much. They also kept 18 jets grounded, ready to contend with emergencies. A proper risk analysis study is crucial to make sure that you leave enough leeway to pick up the slack when you need to. Unfortunately, while UPS was ready for a lot, they didn’t anticipate the unexpected surge in packages hitting a sorting hub in Louisville, which left the company scrambling. Damage control. This is more of a PR issue that than a supply chain issue but no less important. UPS realized early on that it needed to get the message out when things went wrong. It may have been a few hours late but once the damage was done, it did what it could to get ahead of the spin. UPS promptly apologized, live-blogged updates and offered refunds. Even when companies started pointing fingers, like Amazon, UPS didn’t get involved in mud-slinging, saying that it would not discuss its relationship with individual customers. Due to the complexities of supply chains, any logistics company will inevitably let down a customer. Staying transparent, apologetic and firmly resolved to rectify the situation is key to keeping to transforming an uphappy customer into a returning customer. (4) Trying to push the envelope. UPS will likely find that the main problem here was setting shipping cutoffs that were simply too late, tiptoeing from “Just-In-Time” territory into “A Little-Too-Late”. UPS made this effort in order to appease retailers who wanted to leverage every possible day to ship, capitalizing on last minute shoppers. A for effort but it seems like it didn’t cut it. (5) Looking out for your workforce. This is a personal call but I for one was happy that UPS did not call on their employees to deliver presents on Christmas day. True, a company should go through every possible effort to fix a bad situation but at the end of the day, you need to make sure that your workforce will be able to function after the storm. Looking ahead and keeping your eyes on employee management, despite the price you and your customers pay, is a admirable trait.